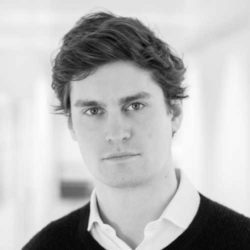 William is President & EMEA MD at WiredScore. He began his career at McKinsey & Co, before moving to work as a senior policy advisor in the Cabinet Office and then in the No 10 Policy Unit at 10 Downing Street. William joined WiredScore ahead of the company’s London launch as the capital’s official digital connectivity rating scheme in October 2015 in partnership with the Mayor of London. In 2017, William led WiredScore’s European expansion with launches in France, Ireland and Germany.